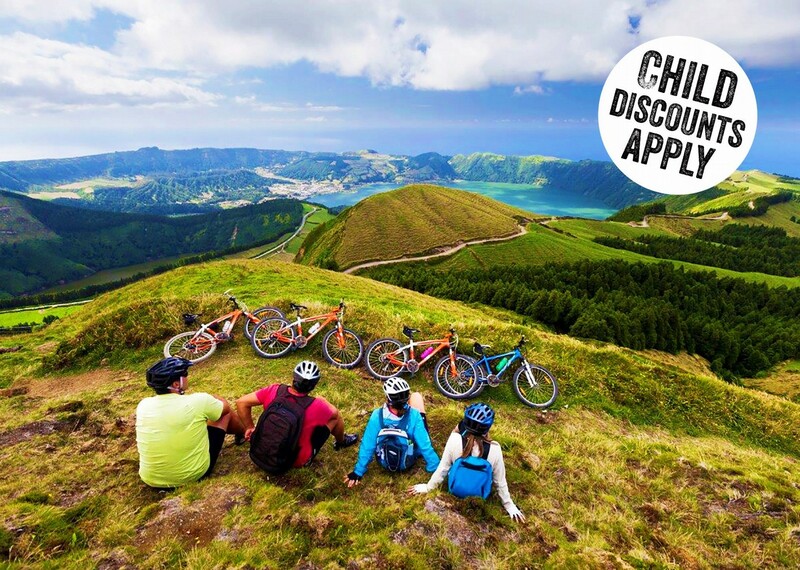 This is an easy paced family cycling holiday in the Azores, located almost in the middle of the Atlantic Ocean. 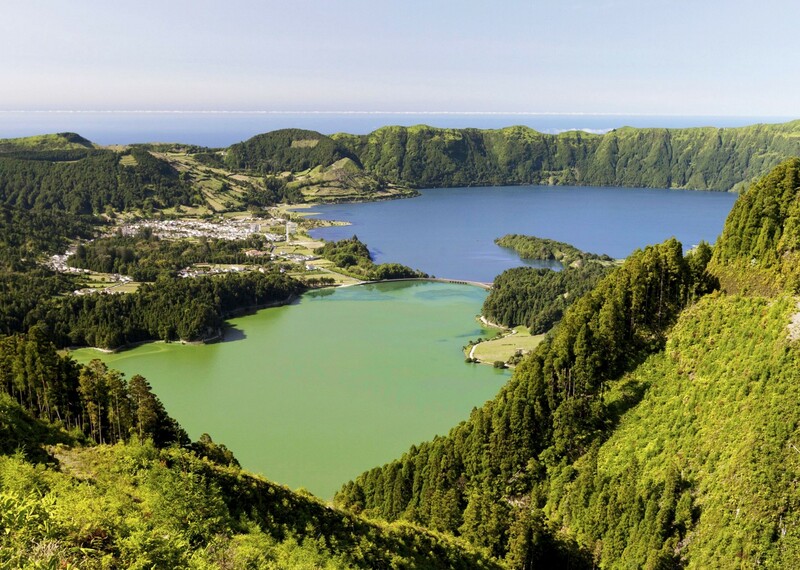 The volcanic origins of the islands are reflected in the mountains and valleys covered by a rich and varied vegetation, lakes in ancient volcano craters, natural swimming pools by the sea, black sandy beaches, active steaming fumaroles, and thermal hot water cascades and fountains. 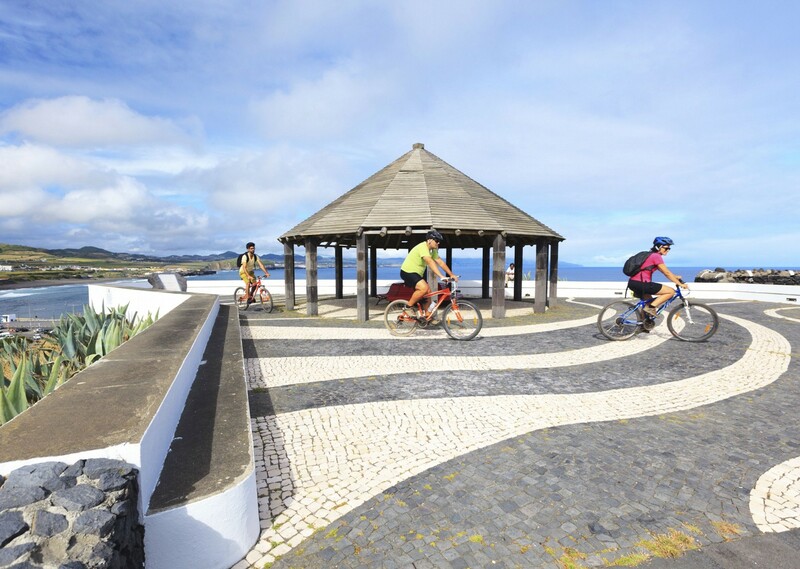 Your trip starts following your arrival into Ponta Delgada, which is situated on the largest of the Azores islands, Sao Miguel or as it is more commonly known, The Green Island. 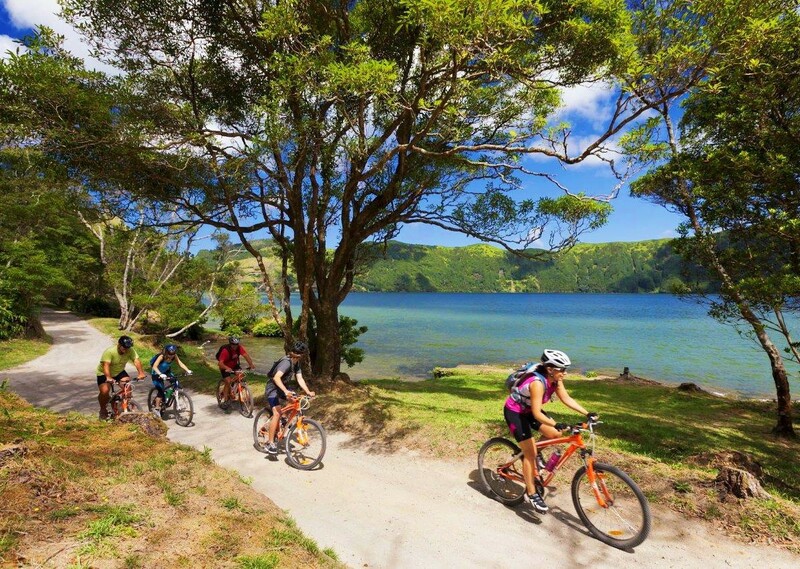 It is here that you will spend your first few days, exploring the trails on the west side of the island. 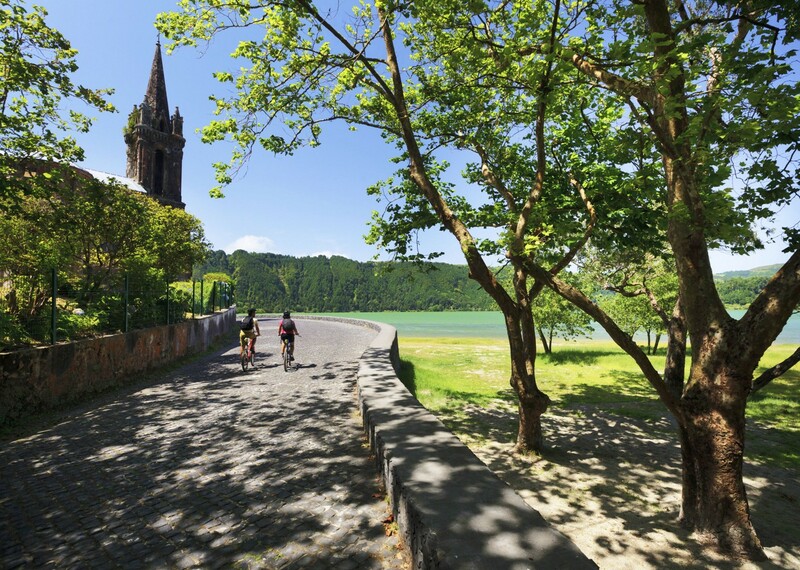 These include the volcanic complex of Sete Cidades, with its amazing Blue and Green lakes and pools of Ferraria where your family can enjoy a swim. 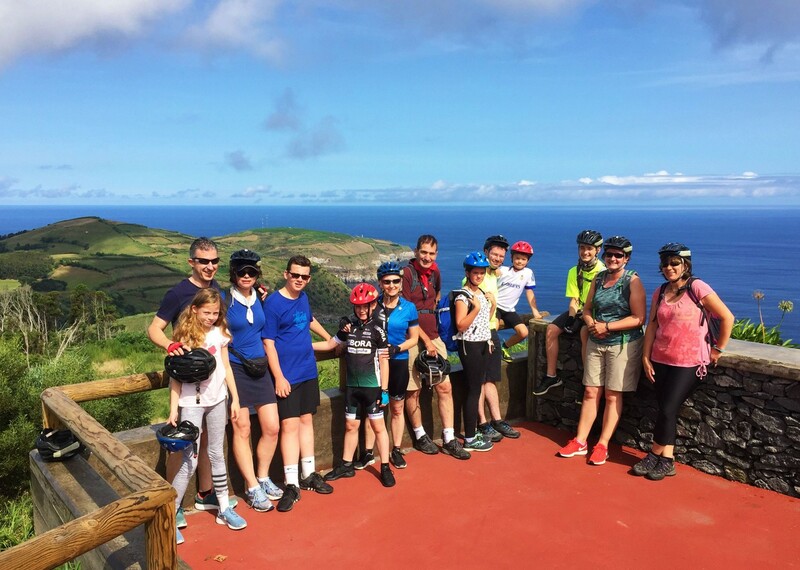 This Azores family holiday is more than just cycling though - we have planned in a day's hiking in Faial da Terra, where you can swim in a waterfall! We have also arranged an exciting day offering something slightly different for your family. 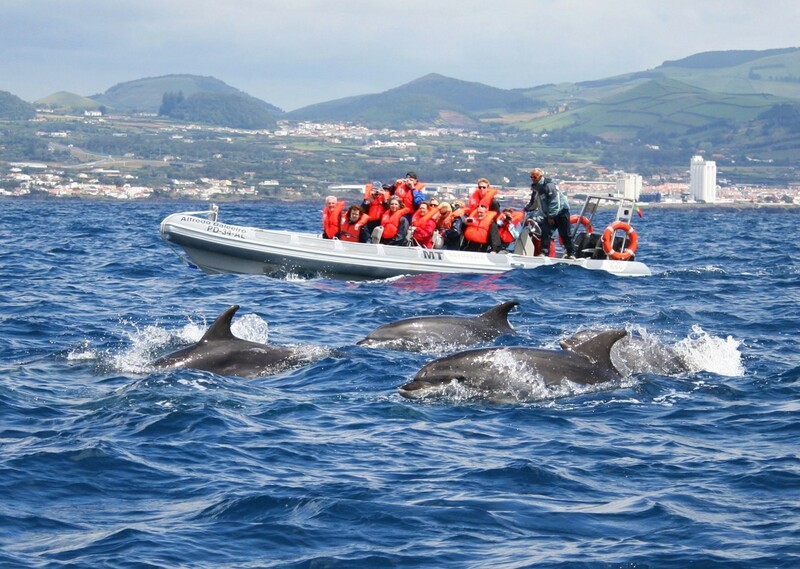 In the morning, you'll swap your cycling shades for binoculars and head out on a boat for a spot of whale watching; later on, in the afternoon, we will take a jeep safari to Caldeira Velha, a hot waterfall where you can take a dip. 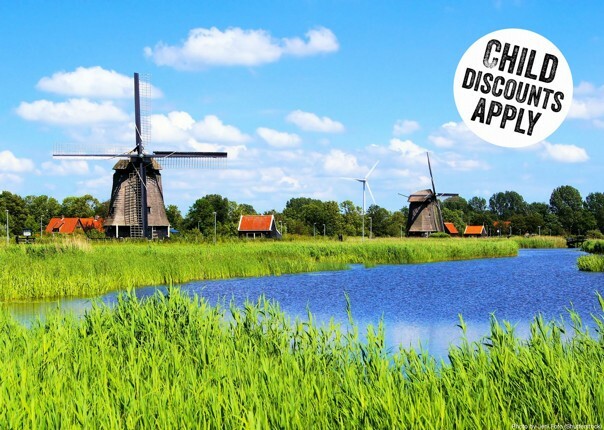 This really is a trip designed with families in mind and we're sure it'll be an unforgettable experience for children of all ages, and parents alike! 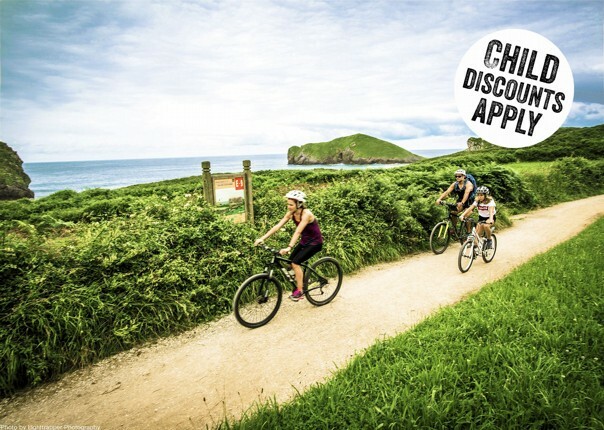 If you're not travelling with a family, then we also have a self-guided and guided leisure version of this trip available. Our guides Nuno and Carlos were outstanding and an absolute delight to be with. They were both very relaxed, extremely knowledgeable and interacted extremely well with the both the adults and children alike. 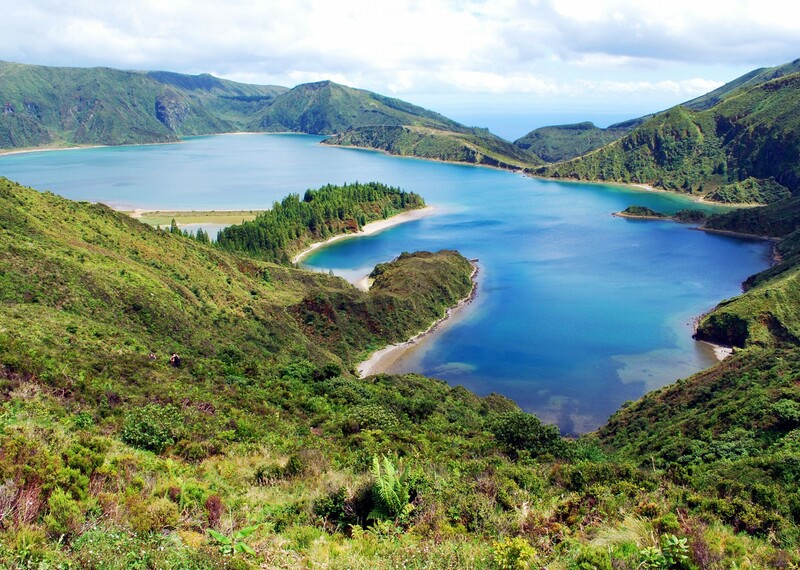 The island of Sao Miguel is a treasure and took our breath away with its beauty. The week exceeded expectations and was the best family holiday we have experienced. Thank you to everyone at Skeddadle for making such a memorable trip possible. The highlight for me was actually one of the non-riding days when we went dolphin watching. It was an exhilarating and wonderful sight to see these beautiful creatures playing under and around the boat. What a privilege! Both leaders were fantastic. They were great with the children and good fun. 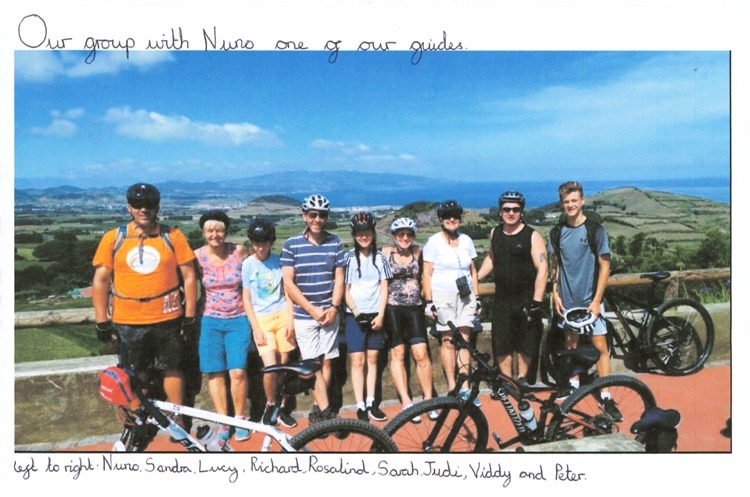 Nuno was extremely knowledgeable and told us masses about the Azores and Sao Miguel, which really added it the experience. He was always very careful to stay at the back of the group but never made anyone at the back feel they must go faster. The boys at the front loved Carlos and he was fun but firm with them, ensuring they rode safely and stayed behind him. The whale watching was an absolute highlight, we were very fortunate to have a clear sunny day so there was fantastic visibility in the sea. We saw lots of dolphins swimming right beside the boat, a sperm whale and a loggerhead turtle. The walk was also great and a really good opportunity to see the density and beauty of the forests. The kids loved swimming in the icy waterfall. The quality of the hotels were excellent! 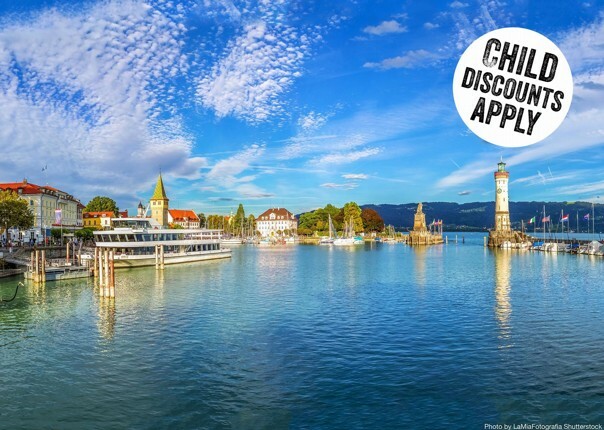 It isn’t a cheap holiday but everything is great quality and you get value for money. The best service I've ever had from a travel company. 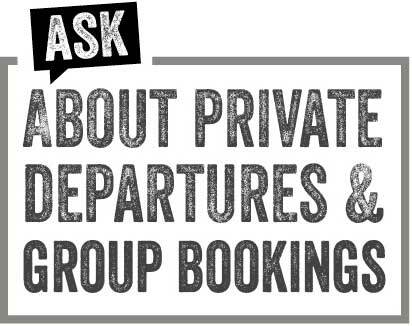 Extremely efficient, professional, helpful, customer focused and friendly – the best service I’ve ever had from a travel company. Wonderful guides. They took great care of us and were brilliant with the children. 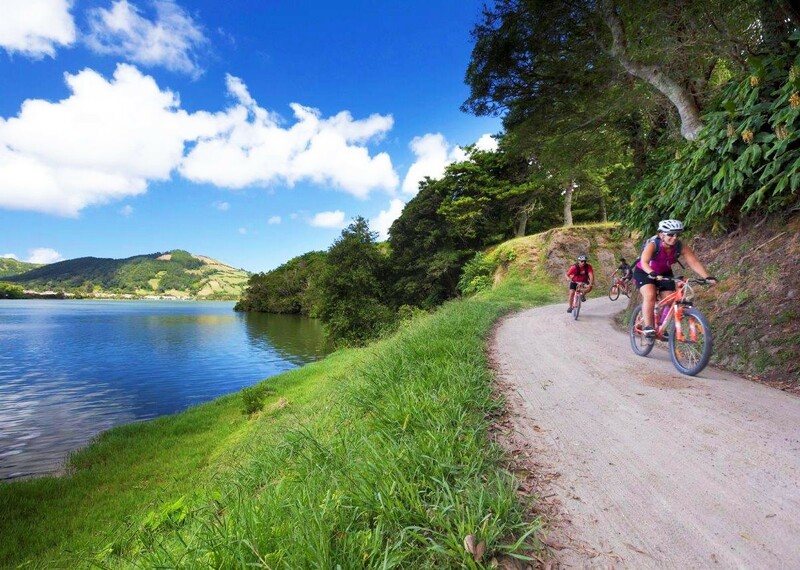 Would love to do a part 2 family guided cycling holiday in the Azores if you can come up with a different itinerary! The whole holiday was excellent! So many amazing experiences! 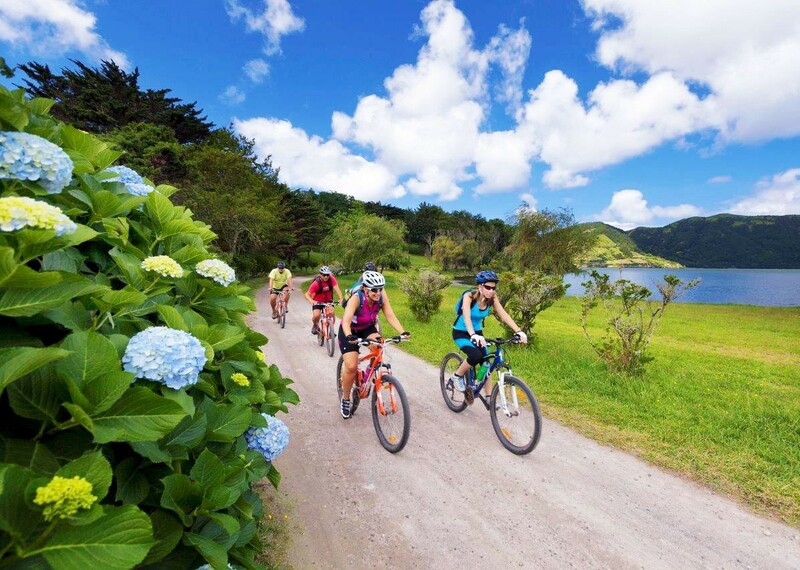 Highlights include: The mix and quality of the activities – Cycling, Kayaking, Hiking – Sea and Thermal Pool swimming/bathing and Whale watching. The warm friendly and informative guide Nuno – (Who told us lots abut the Geology, Flora/Fauna, History and Politics etc of San Miguel), the great hotels with great facilities. 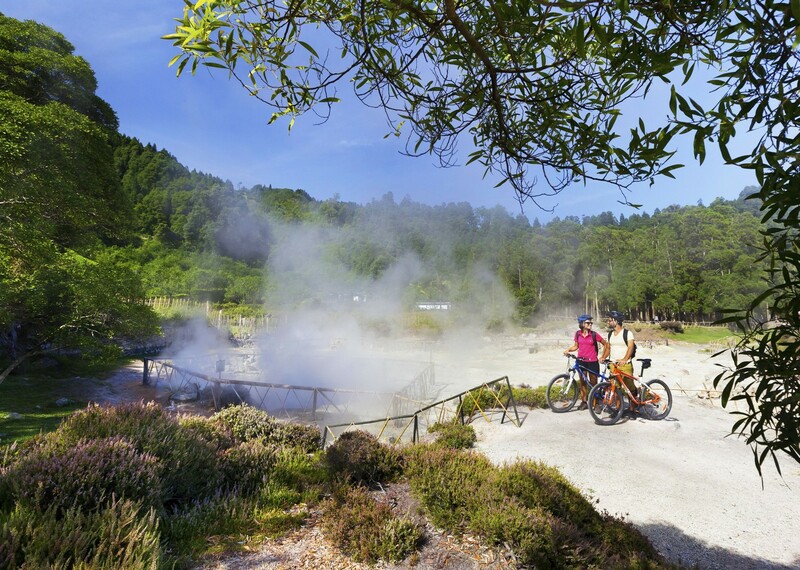 ( Especially the Terra Nostra in Furnas – most amazing place in a remarkable setting with a evocative history.) The food provided was part of our package was excellent. Having the lunch Cozido das Furnas was a special experience. It may well be the best family holiday we have ever had! First day of cycling was best due to the magnificent scenery. Nuno is a tremendous guide. Warm, engaging and informative. He really made the holiday for us all. What a lovely man. Any dealings with the company were pleasant. All staff were pleasant and helpful. A holiday which included so many highlights: cycling round the rim of a volcano, swimming in a hot waterfall, whale watching and many more. The guides were extremely knowledgable and very friendly, and the team at Skedaddle were really helpful in planning our trip. Thank you! We had the best guide you could hope for and was always on time and very knowledgeable of the area – please pass on our thanks! 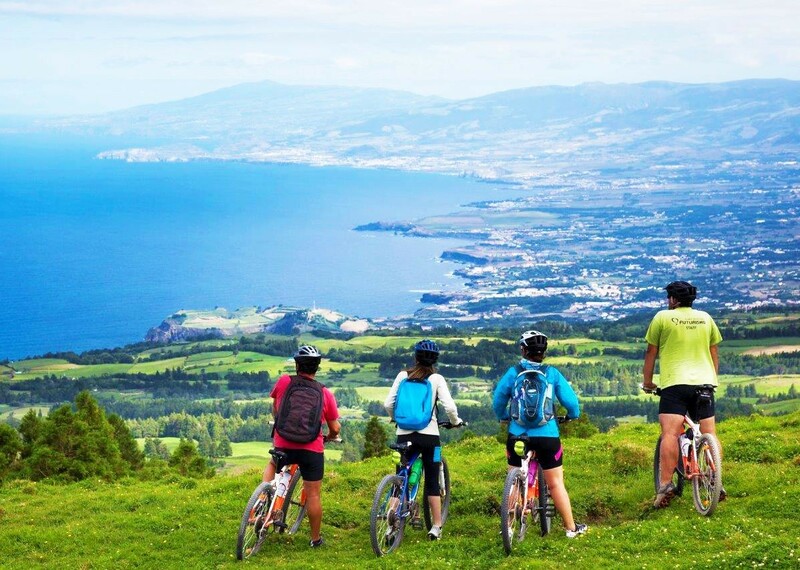 The post Customer Story: A letter from the Azores appeared first on Skedaddle Blog.